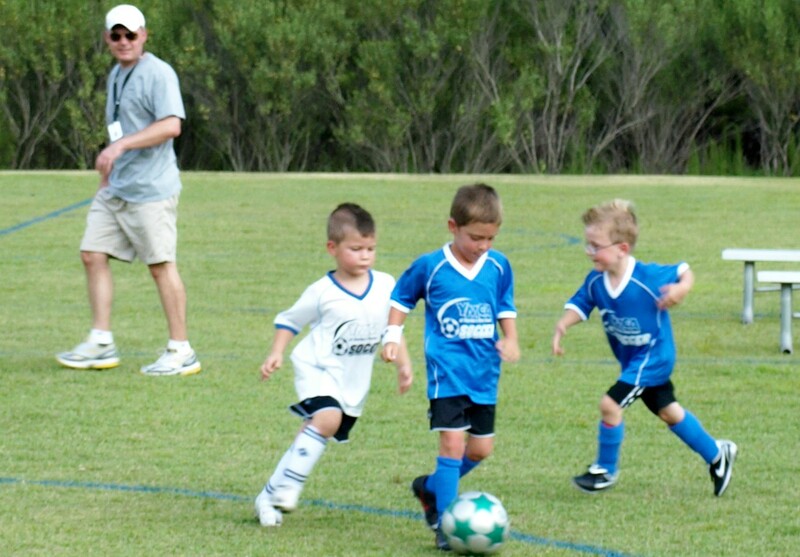 I discovered the holy grail of sports for spirited children: soccer. 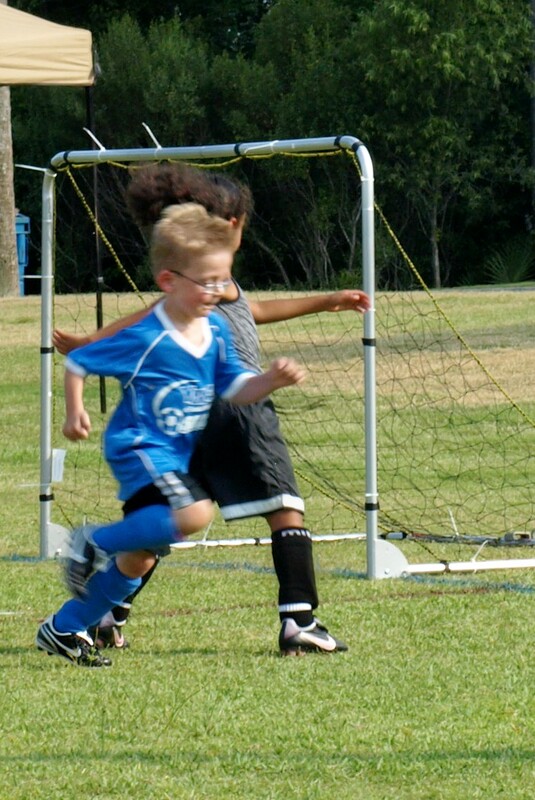 The soccer field is the one place where it is socially acceptable to run all over the place like a crazy person. Full Speed has yet to master some of the basics but what he lacked in execution he made up for in commitment. He had the most energy of anyone out there. That is until the third game. These poor kids were running around in 100+ heat and had lost their swagger by then. One mom shouted out an ice cream bribe to get the offense moving again. By this time all three of our players wanted to guard the goal and forget about chasing the ball down to the opposing side to score. Too hot and too far. I won’t say if we won or lost, that’s not part of this league unfortunately. As Full Speed’s coach, Mad Dog’s competitive streak does not appreciate this aspect very much. I will say our team dominated (as much as you can at the 4-6 year level) making it very fun to watch. This is my first real taste of watching Full Speed play competitive sports. I’m guessing it will be the first of many seasons of many varieties of sports. 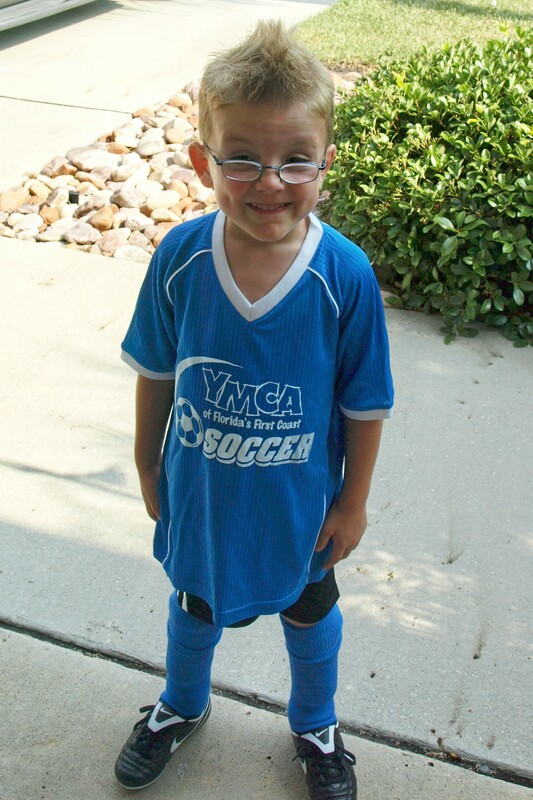 For a mom who knows little to none about soccer, makes me think it must be the love of my kid that I’m there. He is awfully cute. Believe me it certainly wasn’t because of the weather.